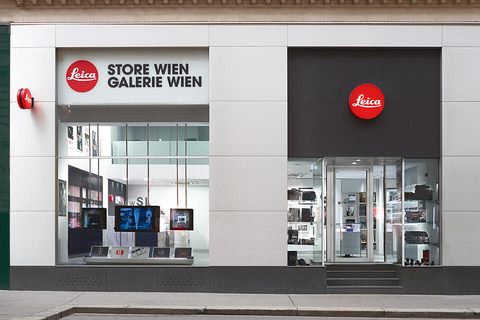 Leica makes its presence felt in the heart of Vienna with a combined Store and Galerie. With this unique combination, the Leica Store Vienna has established itself since 31 October 2012 as the visiting card of the Leica brand and its rich tradition. The refined elegance of wood, glass and metal dominates in the 150 square metres of the sales and exhibition rooms and offers the perfect context for the presentation of Leica equipment and art. 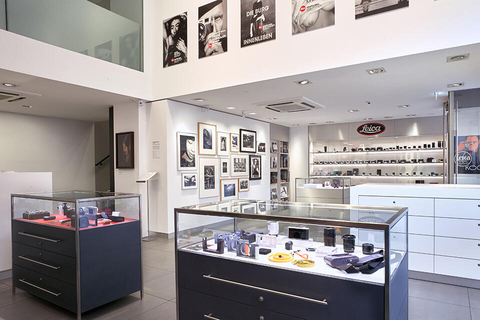 All new Leica products, including the Sport Optics portfolio, second-hand and collector’s items, merge harmoniously with the exhibitions of photography. Large format photos are displayed in the Store area, while the Leica Galerie on the upper floor hosts a regular succession of inspirational exhibitions. As real pictures you can touch and feel are close to our hearts, our premium in-store print service delivers the tactile and visual experience of first class prints from your images on photographic papers. These let us experience precious moments with all our senses and are far superior to any digitally printed photos and any other storage medium. This Store is unparalleled and breaks entirely new ground.